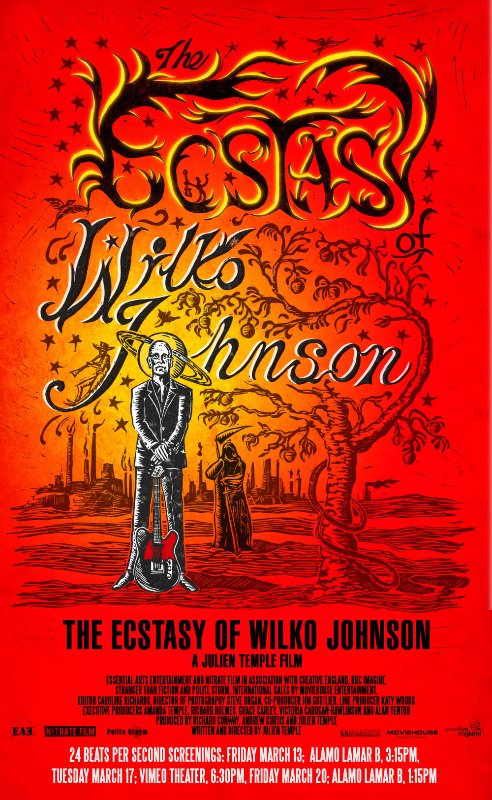 Last night, courtesy of Michael (son of Micky) Fawcett, I went to the premiere of The Ecstasy of Wilko Johnson, director Julien Temple’s almost abstract movie about the legendary British guitarist who also played mute executioner Ilyn Payne in Game of Thrones. There is a trailer on YouTube. It is a companion piece to Oil City Confidential, Julien Temple’s 2009 film about Wilko’s band Dr Feelgood. 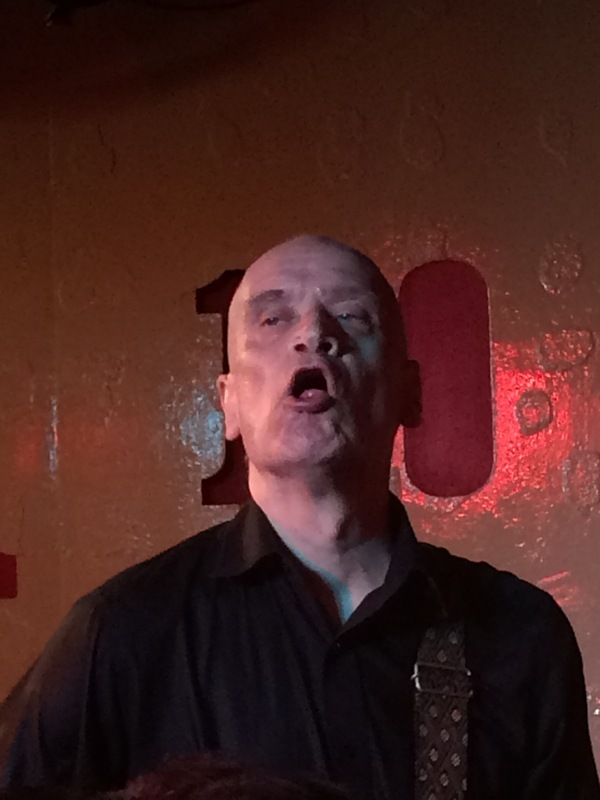 The Ecstasy of Wilko Johnson was going to be about Wilko dying of terminal cancer, except Wilko did not. Charlie Chan, a friend of Wilko’s who juggles being a music business photographer with being a breast cancer surgeon, realised that there might be some hope. Surgeon Emmanuel Huguet operated on Wilko for nine hours at Addenbrooke’s Hospital in Cambridge and the result was there to see last night. Ironically, Michael Fawcwett told me, Wilko survived because he did NOT take any chemotherapy treatment. He just accepted he would die, did concerts and last year made a hit album Going Back Home with Roger Daltrey as part of his ‘farewell’. Wilko’s wife Irene had died of cancer in 2004. So it goes. If Wilko had taken the chemotherapy treatment, he would have been too ill to survive the operation which saved his life. So his acceptance of death resulted in his life continuing. The film had a special relevance to Julien Temple because, at the time it was being made, his own mother was dying. So it goes. After the screening, I went to the 100 Club in Oxford Street, where Wilko and his band played a one-hour, sweat-pouring, full-throttle gig. I had thought the 100 Club had closed but, like Wilko, it is still very much alive. 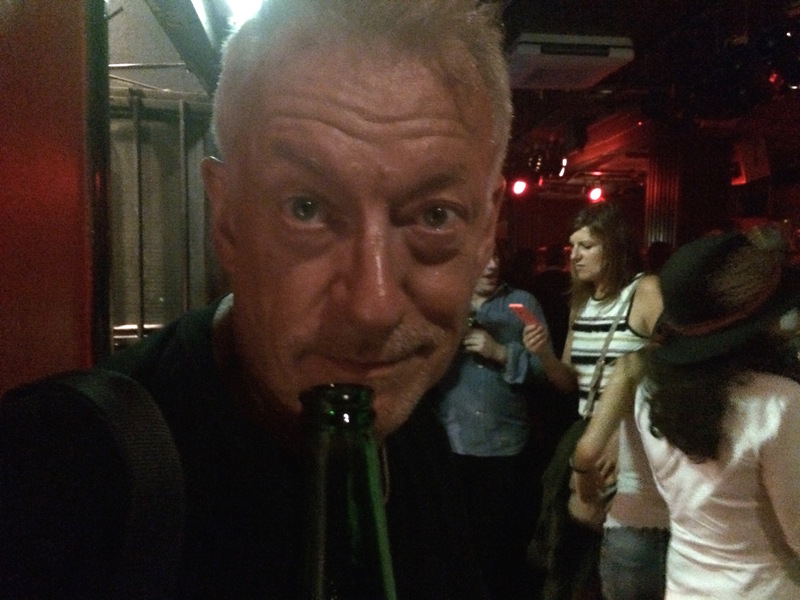 In the red-walled basement club, I bumped into Edinburgh Fringe regular Ronnie Golden aka Tony De Meur of the former Fabulous Poodles. His girlfriend Grace Carley was executive producer on The Ecstasy of Wilko Johnson. “While he was performing?’ I asked. 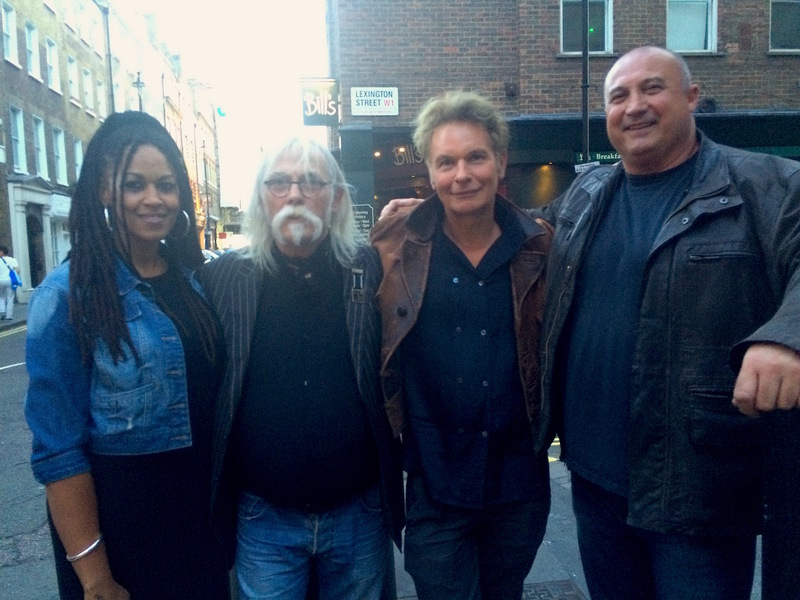 When I left the 100 Club, I walked to Oxford Circus station with Emmanuel Huguet, the surgeon who saved Wilko’s life. I asked him, perhaps tritely, what it is like being a surgeon. “You get to meet some very interesting people,” he said. There is a video on YouTube of Wilko Johnson and Roger Daltry’s Going Back Home. After my blog yesterday about a famous comedian who accidentally told exactly the same jokes twice in one routine, comes a story of someone who did the same thing intentionally. And Brian Mulligan of the late lamented Skint Video was there that night, too. He says Lee Cornes was “a true comic displaying bravery and invention”. Alas, like many other good comedians, Lee no longer performs as a stand-up.